Transform your social media marketing presence with high-quality content, daily activity, and increasing followers. Our social media advertising services are proven to accelerate growth. The benefits of using our social media management services consist of increased awareness, website traffic and lead generation. Google indexes social media. In partnership with a strong SEO campaign, Google analytics and actively maintaining your website, allows your company to continue to climb the Google rankings! 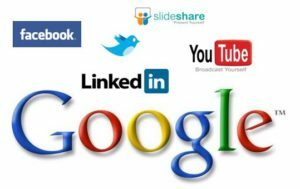 Steering Digital Footprint – Yelp, Google Reviews, LinkedIn, Facebook. Role of “reputation management” – consider personal brands. Social media favors relationship based businesses. Be a part of the conversation – use current promotional ideas (Pokemon), TAG the business. HOW DO I MANAGE SOCIAL MEDIA? Share your visit on instagram – hashtag your business to win a giftcard. Be a part of the conversation – what people are talking about Social Media is internal marketing. Use clients as advocates, it is easier than strangers. Nothing speaks to potential customers like success stories from people like them. Facebook – complete your About Page, Verify your page (checkmark next to your business name, go to settings, page verification, verify by phone call), turn on notifications (go to settings), activate your call to action button, change your cover image often. Claim your Google and Yelp review pages – request customer reviews. 84% of online business listings are inaccurate. JLWebvisions One Listing service ensures that the name, address and phone number of your business are complete, accurate and consistent across more than 70 Internet listing services. Make it easy for customers to find you by listing correct business information!